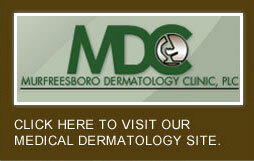 Murfreesboro Dermatology Clinic will act in a manner that is ethical and accountable. We are committed to a spirit of cooperation and responsiveness. We will strive for excellence in service and will approach our activities with a deep sense of purpose and responsibility. Our patients and co-workers can trust that they will be treated fairly and with dignity and respect. Dermatologists, or skin care doctors, are trained to evaluate and manage pediatric (young children), adult, and geriatric (older) patients with benign and malignant disorders of the skin, hair and nails. Dermatologists have additional training and experience in treating a wide variety of skin conditions; for example, acne, cold sores, dermatitis, eczema, ethnic skin, fungal infections, hair disorders, hives, infectious diseases, keloids and scars, melasma, melanoma, nail disorders, pigmentation problems, psoriasis, rashes, skin cancer, warts and all other skin problems and diseases. In many situations, dermatologists perform skin surgery to prevent and/or provide early control of disease, for instance skin cancer; to improve the skin's appearance by removing growths, discolorations, or damage caused by aging, sunlight or disease; and to diagnose a skin condition (biopsy). In addition, dermatologists are knowledgeable in diagnosing and treating cosmetic disorders of the skin such as hair loss and scars. 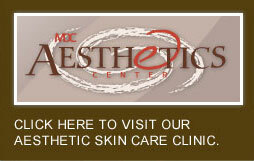 Please click on any link below for more complete information on the services offered at the Clinic.